More than just a typical ‘Stock Trailer’! 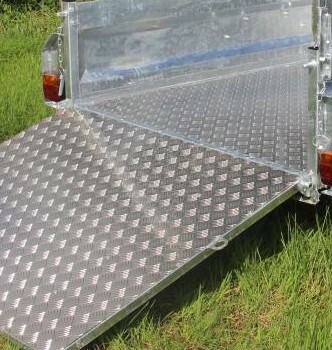 Aluminium non slip ramp, available with the option of a ramp door with integral swing door to make it easier to load individual animals, especially if there is other animals already in the trailer. The fold down sides make it easy to convert it to a low sided general purpose trailer. 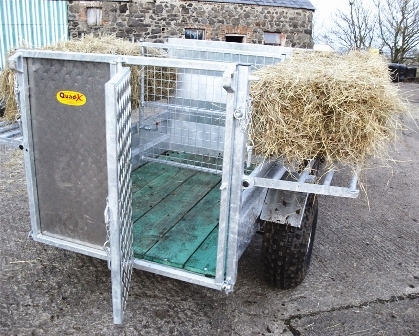 These sides when folded down can also be used to carry hay bales or larger items, the advantage with this design is that with the sides in the down position they do not fall off during transport this allows you to maximise the loading capacity of the trailer using the folded sides as a loading platform. Special Curves in the sides at the top that are slightly higher than normal to prevent wilder animals from attempting to jump out. 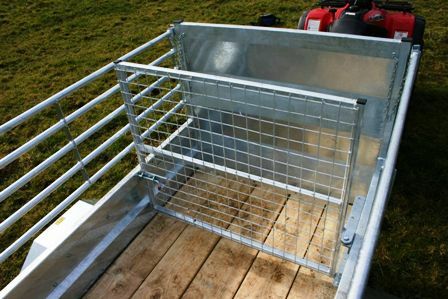 The side bars instead of mesh design makes it easier to tie large and awkward loads especially when sides are down in ‘wide load position’. 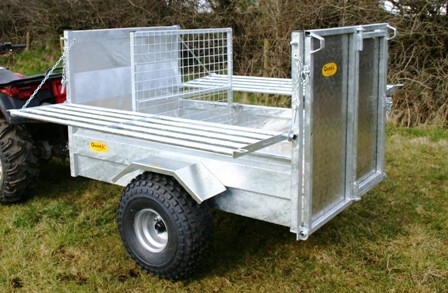 Like our other stock trailer, this is galvanised and comes equipped with a floor design to reduce animal foot slippage in transport. 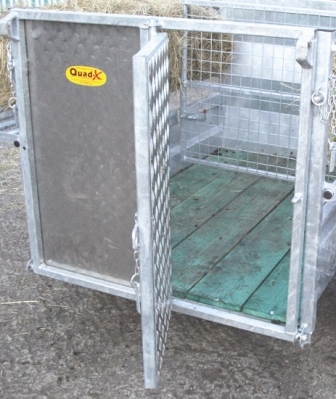 The optional divider gate has several positions along the length of the trailer making it ideal to be used for a lamb box, or keeps each ewe with her lamb preventing mix ups. 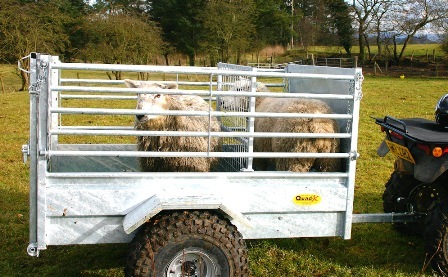 You can also lock an animal in the front to help lure others into the trailer. 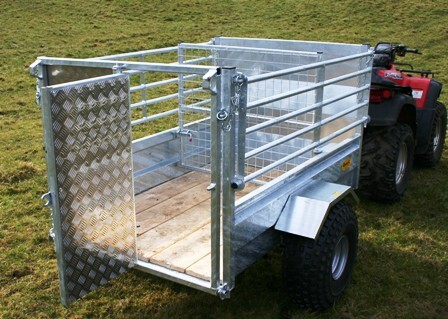 Various door options are available to make the stock trail work best for your needs.